instrument for musician or producer concept . 图库照片: instrument for musician or producer concept . instrument for musician or producer concept background. 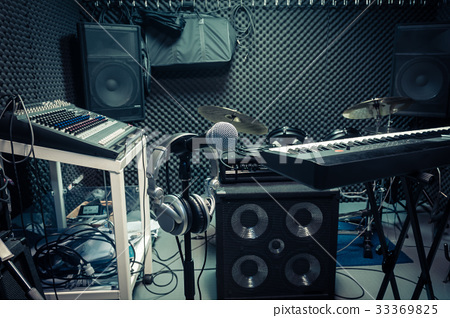 Selective focus of microphone with essential items music band at home recording studio.Mix equipment for rock or classic musical background.